The main task of this game is to score goals. Using your mouse you must hit the puck with the stick in such a way that you score a goal in opposite gates on the field. The winner is that who will score twelve goals. In arcade mode you can collect power-ups, which will help you to win. Also arcade mode allows you to score additional kind of points, which can be stored in a high scores table. You can play AirHockey 3D with friends (multiplayer). The award winning strategy game from the creators of the X-Com series. Play Marine, Machina, Spawn or Grey campaigns against a devious AI opponent, or play online against human opponents in competitions and tournaments with over 100 maps to choose from. Laser Squad Nemesis is a turn based, futuristic war game with each player controlling around 20 units. The game system features accurate 'line of sight' and destructible terrain. Replay the German unsuccessfull attempt to capture Moscow in late 1941, followed by the Russian counter-offensive that denied the German any chance to conclude the eastern war that year. To win, the German must march hard towards the Russian capital, capturing it ensuring them a great victory, on the other side, the Russians must keep Moscow out of German reach and drive axis units back to their starting position by the end of winter. Phishing Zapper is state of the art Anti-Phishing. It provides one-step access to the security features that keep your computer safe. Phishing Zapper software checks for updates daily and downloads and installs these updates when they become available to insure that the program will detect and protect the user from the latest phishing threats. Phishing Zapper is a program that monitors the incoming emails and web pages that might be phishing. In Sudoku, you fill in numbers in blank cells. Place a number from 1 to 9 in each blank cell. Phishing Blaster is state of the art Anti-Phishing. It provides one-step access to the security features that keep your computer safe. Phishing Blaster software checks for updates daily and downloads and installs these updates when they become available to insure that the program will detect and protect the user from the latest phishing threats. Phishing Blaster attempts to identify phishing content contained in emails. Professor Y has decided to make a Desktop Toy version of Segmento, his first YummyWorks employee. He's a knockaround kinda bot with a hankering for zero gravity. Programmed with just the right mixture of artificial intelligence and artificial stupidity, Segmento will rock the desktop! Play a game of classic Backgammon against the computer or online. Move all of your checkers onto your home board, and then bear off before your opponent does. Roll two of a kind to double your number of moves. Catch your opponent with a vulnerable checker, and send him to the bar. And once you�re sure you�re going to win, use the doubling cube to bring you even closer to ultimate victory! 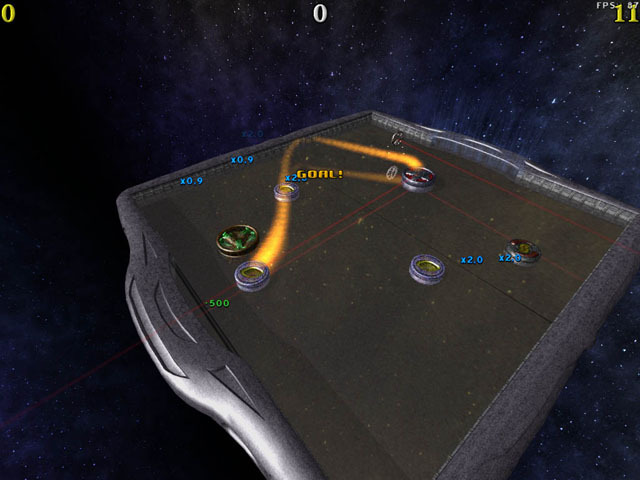 Spacefire Deluxe is an arcade shooter. Enter a universe of hostile aliens, blast your way through four missions, dozens of levels, and thousands of bad guys. You'll face hordes of light-armed frigates, tiny saucers with huge rocket launchers, organic ships that constantly reproduce, thick-armored motherships with kamikaze escorts, and immobile fortifications. But don't you worry. You get a fine ship and five BIG guns to save humankind.